LG may be currently making (rolling) waves with its Signature OLED R television but the near future might not be only about luxury sets that unfurl from a console table like a mighty scroll. One of my favourite websites, the must-read OLED-Info confirms that LG Display – the arm of LG that makes displays, in case you wondered – is to invest a whopping $10.6 billion in increasing its production capability for OLED. LG Display is also known to be looking into various other economies of scale to do with buying and cutting the glass for its various screens. Now, this might all sound very dry to you, but think of it like Age of Empires. LG is building more factories, so it can produce elite TV units to wage war on rival TV brands (although also to make money from them, since LG sells its panels to all its main rivals to use in their TVs). Hopefully, while they're building these factories, another TV empire won't invent the nuclear missile, and wipe them out. That always happens to me in Age of Empires. This could mean real benefits for punters, and soon, because LG is in a hurry. Of that $10 billion investment, the lion's share – $7.1bn – is being spent in 2019. Perhaps tellingly, it is making no such investment in LCD, but 40% of the money will go towards upping production of smaller, P-OLED (plastic OLED) screens*. Overall, LG's OLED capacity will almost double, from 70,000 TV-sized panels per month to 130,000. Today, OLED is still an expensive, early adopter's technology. 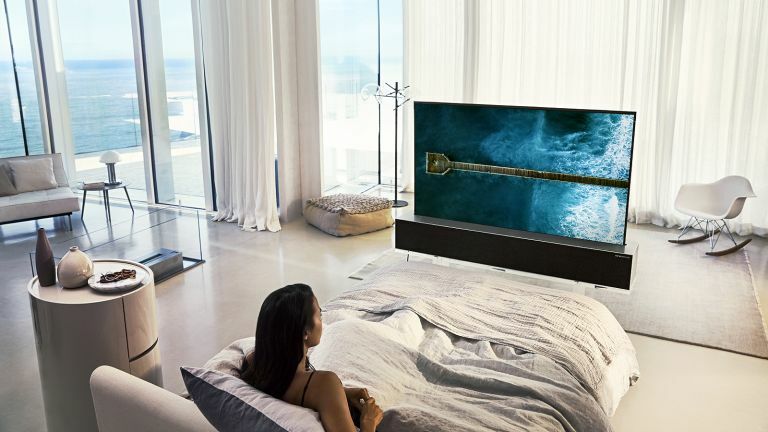 However, it has been around long enough for many of its technical problems to be ironed out, and prices are already coming down – LG has driven this, both with its own TVs, and by selling LG Display OLED panels to other TV manufacturers, such as Philips and Panasonic. OLED TV prices are already coming down fairly rapidly – Curry's has this Philips one with Ambilight for £999 with a simple voucher code – and the OLED business is already turning a profit for LG Display. This move could mean that 4K, HDR OLED TVs, with their fantastic colour, contrast and motion management will come within reach of more and more shoppers hungry for an upgrade. We don't think LG's rollable TV will suddenly be turning up at Richer Sounds with a hefty discount any time soon, however. *P-OLED is the slightly bendy type of plastic screen used in some smartphones and other gadgets. That is not to be confused with the fully bendy screens required for the Samsung Galaxy X and other foldable phones.